“من فطّر صائماً؛ كان له مثل أجره، غير أنَّه لا ينقص من أجر الصائم شيء”. [Imaam an-Nawawi’s Riyad us-Saaliheen – Chapter 230 – Hadith 1262]. 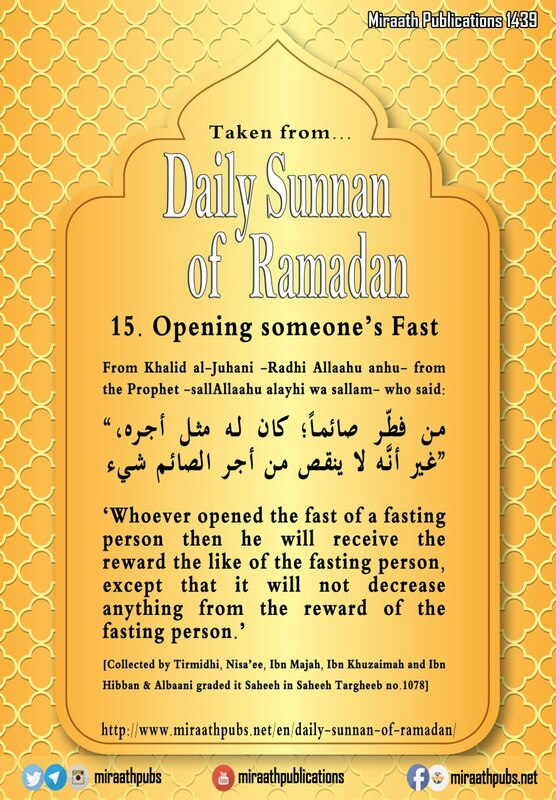 – Qatadah bin Milhan رضي الله عنه reported: The Messenger of Allaah صلى الله عليه وسلم directed us to observe Saum (fasting) on the thirteenth, fourteenth and fifteenth of the (lunar) month. [Imaam an-Nawawi’s Riyad us-Saaliheen – Chapter 230 – Hadith 1263]. – Ibn `Abbas رضي الله عنهما reported: It was the practice of the Messenger of Allaah صلى الله عليه وسلم to not to omit fast on the `bright days’ whether he was staying at a place or on a journey. This timely article written by Shaykh Badr Ibn Muhammad al-Badr (حفظه الله) is a compilation of important questions related to the legislative rulings of Zakaat al-Fitr which he presented to ash-Shaykh al-‘Allaamah Saalih Ibn Muhammad al-Luhaydaan (حفظه الله). This article was translated by our noble brother Abu Afnaan Muhammad Abdullah (حفظه الله). 1. Why is Zakaat al-Fitr referred to with this name? 2. What is the amount of a Sa’a (measurement)? 3. 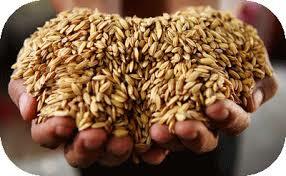 What are the foodstuffs which are given as Zakaat? 4. Is it permissible to give the Zakaat al-Fitr as money? 5. Who is Zakaat al-Fitr given to? 6. Can the Zakaat al-Fitr be given to non-Muslims? 7. Is Zakaat al-Fitr to be paid on behalf of people who are mentally ill? 13. When does giving Zakaat al-Fitr become obligatory? 14. When is Zakaat al-Fitr given? 15. Is it permissible to make up Zakaat al-Fitr? 17. For an individual who works in a foreign country, does he give the Zakaat al-Fitr in his country or the other (in which he works)? Also, is it permissible to give the Zakaat on behalf of his children in the country which he works? Chances to get your Dua answered Make Dua! Menstruating Women & Laylatul Qadr? إِنَّ الْمَلَائِكَةَ تِلْكَ اللَّيْلَةَ أَكْثَرُ فِي الْأَرْضِ مِنْ عَدَدِ الْحَصَى ” . 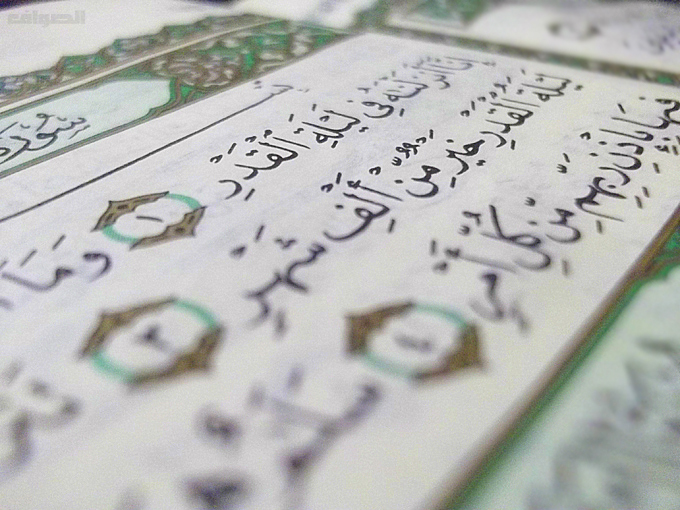 <<Laylatul-Qadr is the twenty seventh or the twenty ninth night. 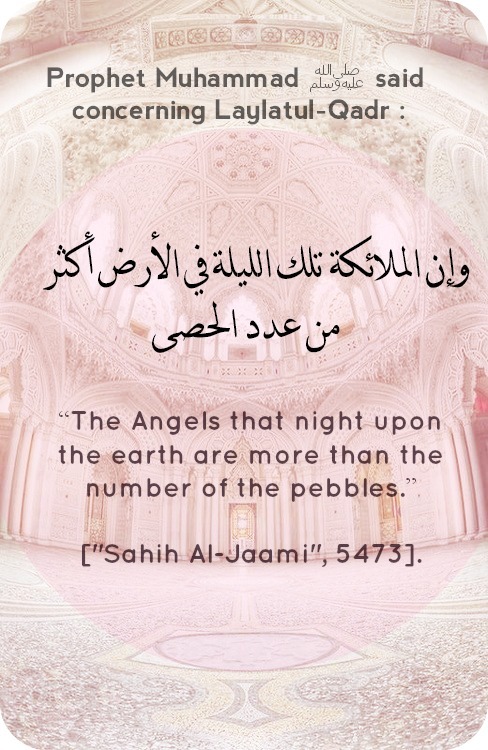 The Angels that night upon the earth are more than the number of the pebbles>>. Reported by at-Tayaalisee in his Musnad(no. 2545),and from him by Ahmad (2/519), and likewise by Ibn Khuzaymah in his Saheeh (2/223): from Imraan al-Qattaan: from Qataadah: from Aboo Maymoonah: from Aboo Hurairah marfoo`an. and al-Haafiz remained silent about it in al-Fath(4/209). All praise is due to Allaah, and may the peace and salutations of Allaah be upon his Messenger, his family and companion. Certainly, the last 10 days of Ramadan are blessed. From their virtues, is that Laylatul Qadr is most likely to fall within them. It is the night that Allaah has emphasized its affair in his Book and the Prophet encouraged standing in prayer on it. Performing good deeds on this night is better than performing good deeds for a thousand months. This is for he whom Allaah makes successful. The Prophet صلى الله عليه وسلم said “Whoever stays up and prays on Laylat al-Qadr out of faith and in the hope of reward..” Meaning, faith in its virtues and hope in seeking its reward which has been promised for it. Allaah has hidden this night in this month, however it is most correctly viewed that it would fall in the odd last 10 nights, on 21st, 23rd, 25th, 27th or 29th. However, the more correctly according to the people of knowledge is it will fall on the 27th night of Ramadan. Nevertheless, whomever stands in prayer on these nights, while believing in its virtue and seeking its reward has obtain great goodness. Indeed Allaah grants it to whomsoever he wills. As for the one who stands to pray on some nights and leaves other nights then he may not have attained Laylatul-Qadr because it may have fallen on a day that he abandoned praying. This night has many virtues. Secondly: It is better than a thousand months. Thirdly: It is the night that yearly actions and fates are decreed. Actions, fates and lifespans are decreed in the Preserved Tablets fifty thousand years before the creation of the heavens. Great virtues are gathered in this night. It is a blessed and virtuous night. It is a night of decree and its [true] value is only known by Allaah. This night recurs for us every Ramadan. Every Ramadan that arrives, it has a Laylatul-Qadr in it. This is from the blessing of Allaah. 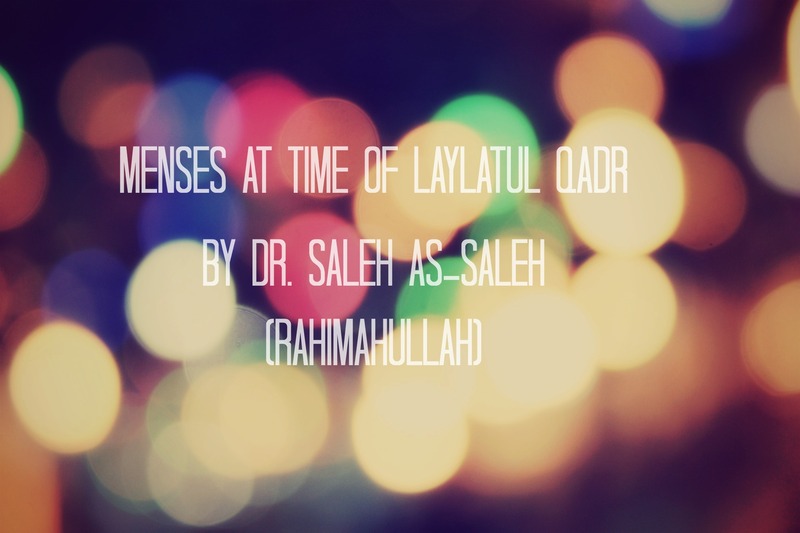 So what do you think about the one who Allaah has blessed to attain Laylatul-Qadr every year? The one who Allaah has made successful to attain it every year! This is a great and generous reward.